Need help with your Pinterest board names? Want to improve them and drive more Pinterest traffic to your website? 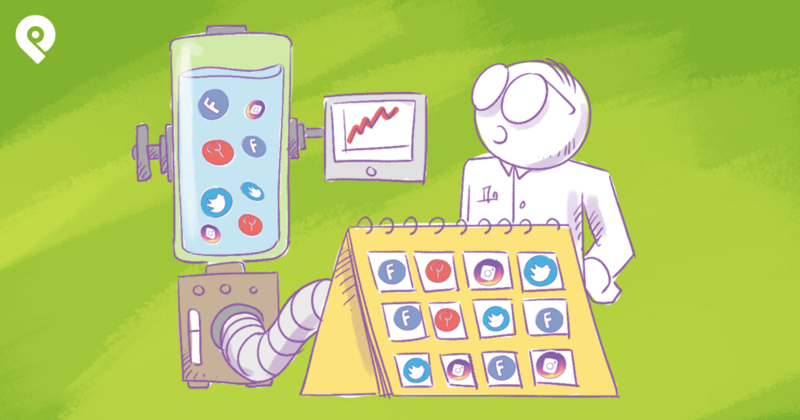 The right board names will help you get targeted traffic through Pinterest’s search capabilities -- which will send more people to your boards and get you more followers, clicks and pins. Just like Google search, Pinterest search is a powerful way for your business to get found. And optimizing your (1) board names, (2) board descriptions, and (3) pins will improve your ability to rank, which will ultimately drive more Pinterest traffic to your website. 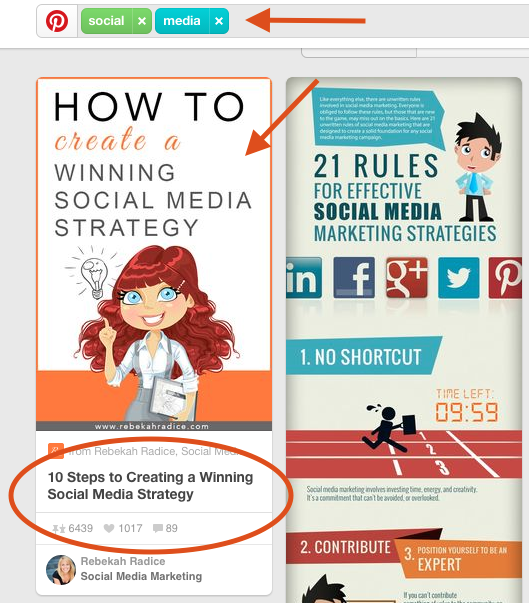 This is the powerful 1-2-3 punch that can land you at the top of Pinterest search! Don't believe that optimizing your boards can get you results? Here's an example. This is still one of my top performing pins and one of my highest trafficked articles ever. There isn’t a day that goes by that I don’t receive another repin. And the added bonus is the viral nature of this pin helps me rank in the top spot in Pinterest for the keyword "social media". In this article I'll dive deeper into how I achieved this -- and tell you why having strong Pinterest board names are key! 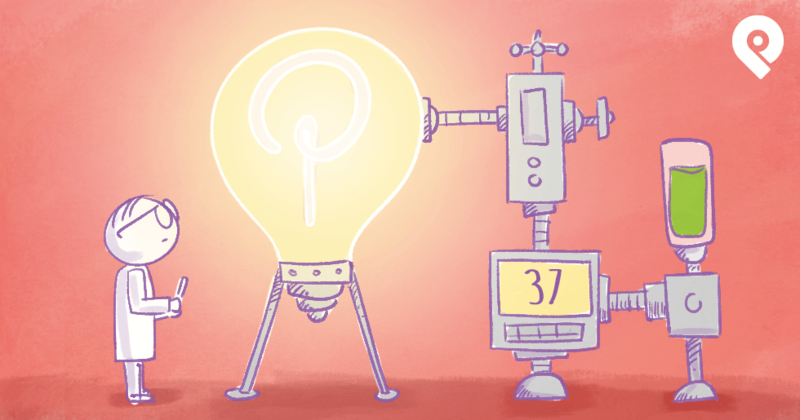 So, what’s the secret to getting a pin to the top of Pinterest search? Keep in mind that replicating my pin's success will not be simple. Making it to the top of Pinterest search and creating a viral pin can be tough. 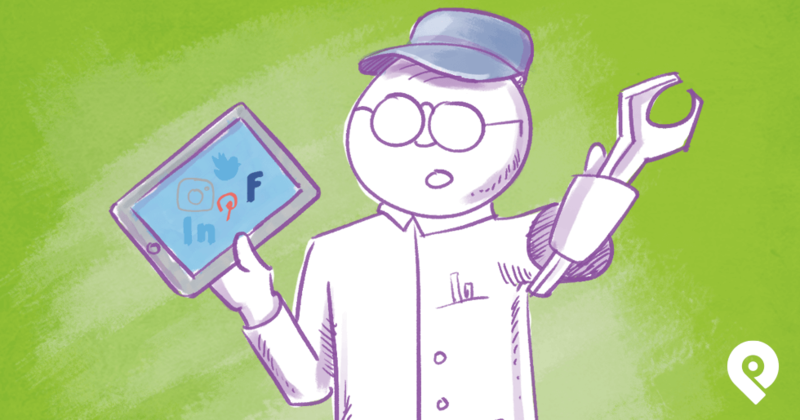 The first step is making sure your next pin includes the 6 elements of a viral pin. My pin above is 600 x 900 pixels. Most people know that portrait and vertical images perform best on Pinterest. There is a lot of data to back this up. For example, Dan Zarrella studied over 11,000 pins and found that taller images are more repinnable. The size I currently recommend is 735 x 1,200 pixels -- but I encourage you to play around with this. Test your own images and pay attention to what’s performing. Then once you find your sweet spot, create images of that size over and over again. You pin description should share enticing details about your image and content. You have to give pinners a reason to repin and click through to your content! Pins with a lot of white space perform best for me -- probably because when you scroll through the Pinterest feed, they're so easy to spot. Between the food, design and DIY tutorials, there’s lots of color and shapes flying at you. 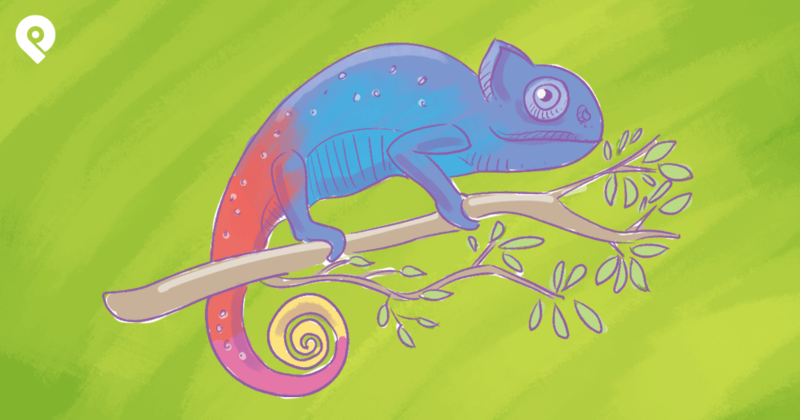 So you can stand out by using bright colors on a white or neutral background. Many creative fonts don’t translate well to the busy Pinterest environment. So stick with the tried and true basics. Once those begin to perform, spread your wings and try something different. But master the basics first. I’m partial to a cute girl with blond hair -- and the one above with red hair, of course! I’ve found that both of them perform better than any other character I’ve used. Data also supports my findings, suggesting that images without a human face receive 25% more repins. If people can’t find your board, they’re not going to find your board content. So use a board name your target market is typing into search when looking for your content. In the case of my pin above, the board is called “Social Media Marketing: Business Tips for Marketers”. My title clearly express the content you will find, along with who will benefit from it. Don't know how to find content? Tune in for our free training and learn how to find and pin engaging content. 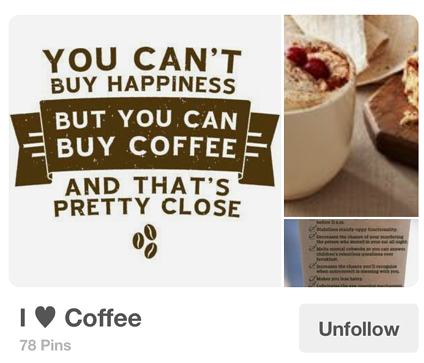 Pinning captivating content to boards with optimized board names is a major factor in making pins go viral -- and to the continued growth of your Pinterest presence. But to get to the top, you need to understand how Pinterest SEO works -- along with the 2 major components of Pinterest search. Each of these components provides powerful ways to increase visibility for your pins and boards. Guided Search was introduced last year when Pinterest made a major overhaul to their search algorithm. [Pinterest Guided Search] is made for exploring, whether you know exactly what you want, or you’re just starting to look around. There are more than 750 million boards with 30 billion Pins hand-picked by travelers, foodies, and other Pinners, so the right idea is just a few taps away. You want YOUR pins to be at the end of those "few taps"! And if you consistently share quality pins that link to quality content, you will build authority in Pinterest's eyes and establish your business/brand as a trustworthy resource. 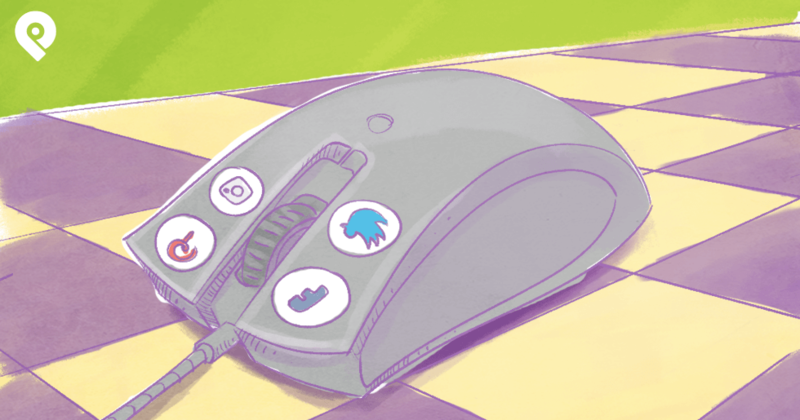 Then... the more clicks your pins get, the higher they will move in search and the faster Pinterest will assign relevance to them and show them in search results. The 2nd component Pinterest search is the Pinterest smart feed -- which is still relatively new. Originally, the Pinterest news feed was comprised of sum total of all the recent pins from the Pinners you followed -- just like in Twitter. It was one big dumb firehose of pins. But today the feed is smarter. Now it shows pins based on an algorithm known as Pinterest’s smart feed -- which is more like the Facebook algorithm-based news feed. The highest-quality pins get moved to the top of the queue and stay there as long as the pin receives quality interaction (repins). 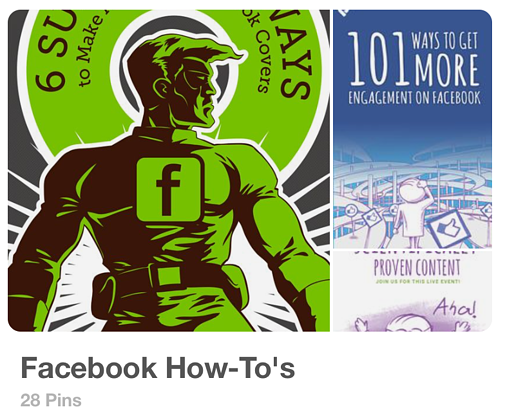 Pins from higher quality sources -- sources with pins that get pinned a lot -- get more prominence in the news feed. Pinterest applies criteria from its "smart feed content generator" to every pin and chooses the best pins for the news feed. So you'll need to keep both Pinterest Guided Search AND the Smart Feed in mind when coming up with Pinterest board name ideas. They're both SUPER important! As anyone who spends time on the internet knows, good keywords help you get found. This is especially true when it comes to Pinterest board names. 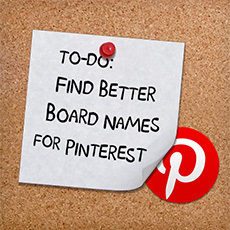 To surface your boards on Pinterest’s board search, use meaningful names that Pinners are likely to search for. Have a mix of both boards with specific names (e.g. “Salvador Dali Prints”) and more broad ones (e.g. “Fine Art Prints”). Don’t forget to write compelling and targeted descriptions of your boards, too, and add to them frequently to keep your followers engaged and to make your boards easier to discover. So now that you know how important your Pinterest board names are, let’s take a look at how to come up with great names when you use Pinterest for business. The goal is to entice pinners to step inside your profile, look around, stay awhile and then pin, pin, pin! Be glaringly obvious about what kind of content your board contains. Don’t beat around the bush. Put a little fun, sass and spice into your board names -- but also get to the point! Are you funny, witty or a super smarty? Take those qualities and use them to connect people with your business or brand. Don't litter your titles or descriptions with too many keywords. Write them in a way that’s appealing and attractive to both people and search engines. Choose the best, most compelling pins possible for your board cover. They are the billboards other people will see as they decide whether or not to check out your board. Don't know where to get these compelling images? You can either create your own or find engaging images from other users. Join us to learn how to find and share the most engaging and viral images. Once you optimize your board name -- you can add that board directly to your Post Planner! I created this video to show you how. 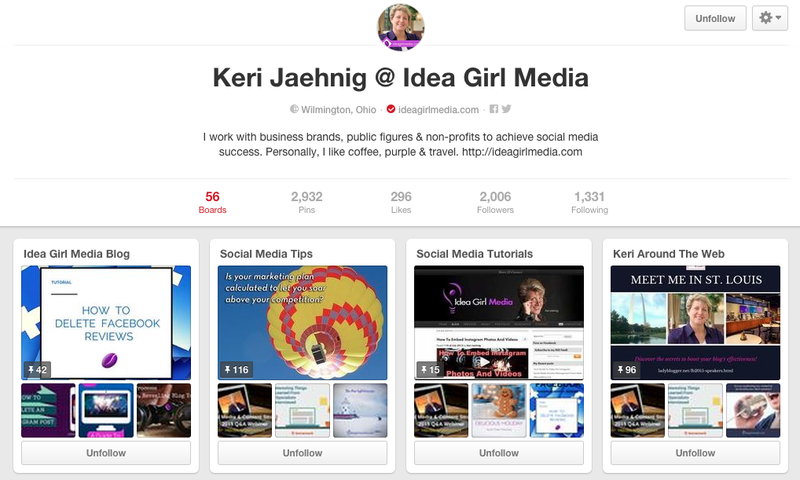 Keri, head of Idea Girl Media, assists businesses, brands, public figures and non-profits with social media marketing. Keri pins a wealth of social media info and has optimized her boards for search. 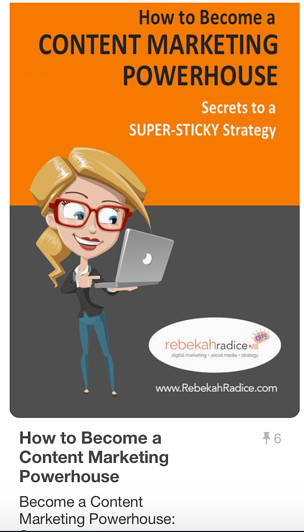 She uses her company name and keywords, keeping her top performing boards at the top of her profile. 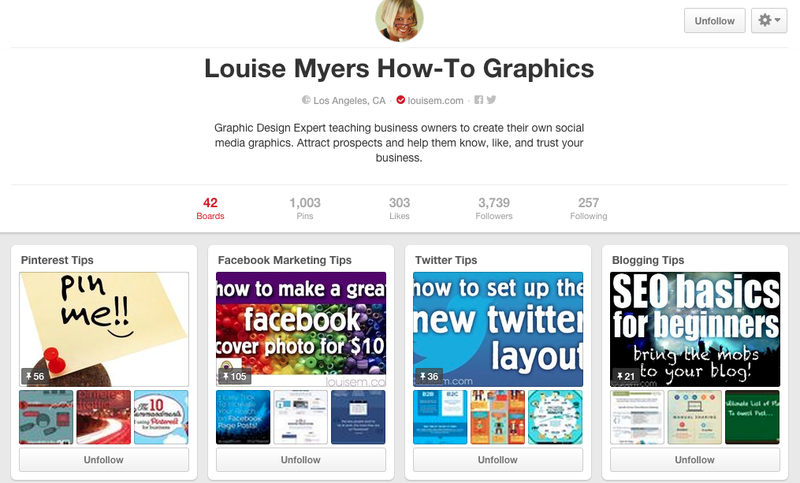 Louise is a design and branding specialist who helps businesses create high-quality social media graphics. 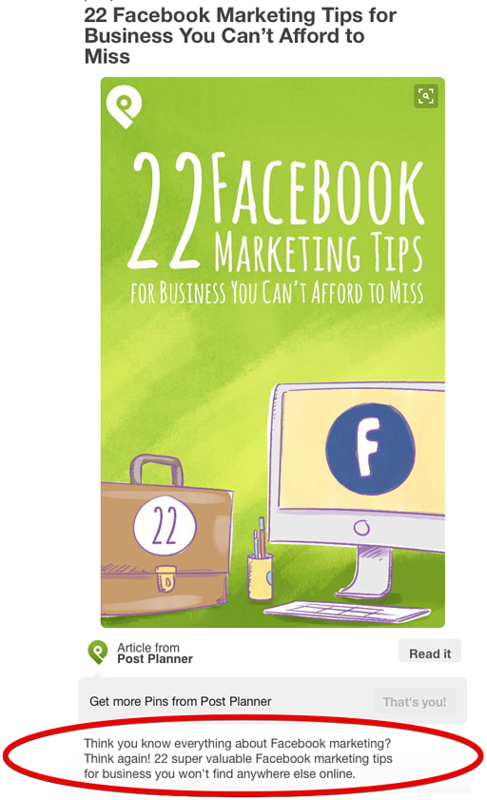 Louise’s boards are a mix of all things social, from tips for Facebook cover images to Instagram photography. You'll see her use of keywords throughout each of her board names. Kate is a DIYer, bargain hunter and design lover who pins her fabulous design, interior decorating and home improvement finds. 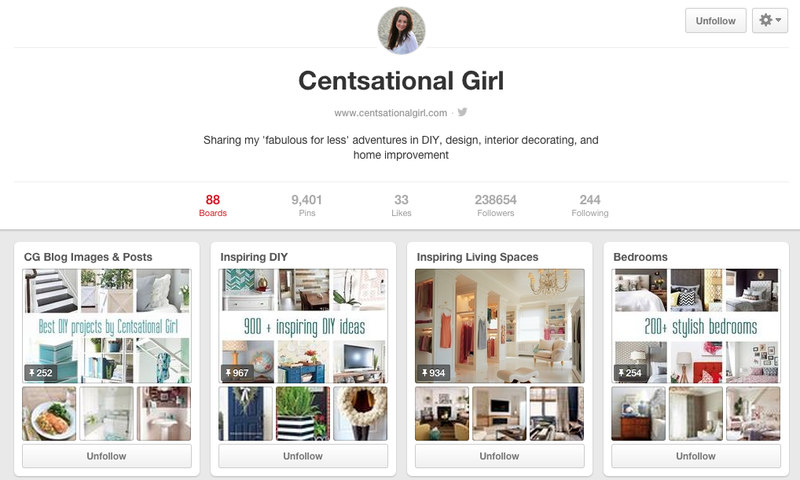 With over 9,400 pins, you can bet her 238,000 followers can find what they’re looking for, especially when each of her boards is optimized for her niche. Each one includes her keywords. 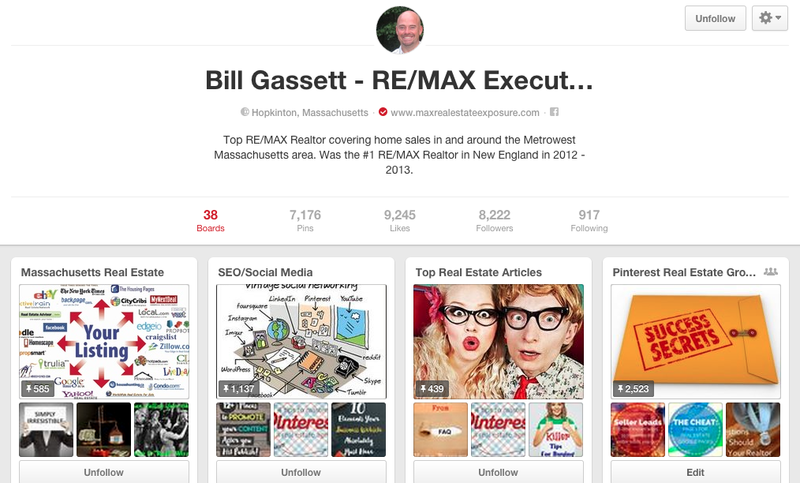 Bill is a real estate professional who is extremely active on Pinterest and willingly shares his 25 years worth of wisdom and experience. As you can see from Bill’s boards, whether you’re in the industry or a home buyer or seller, Bill has targeted his boards and content specifically to you. 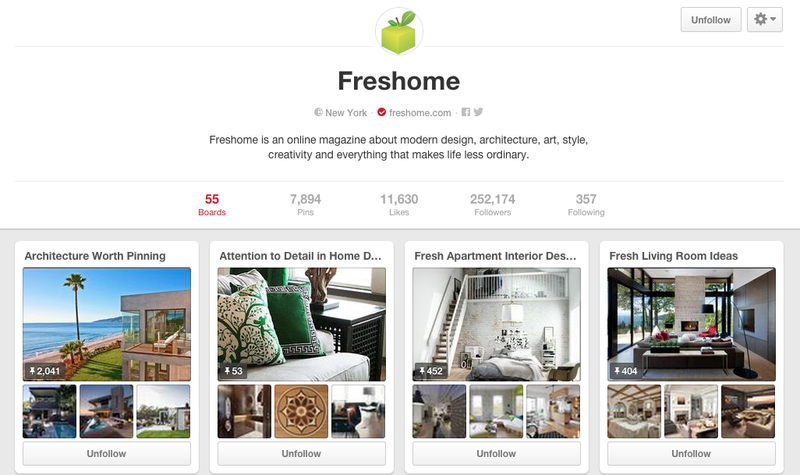 Freshome, one of my favorite Pinterest accounts to follow, shares modern design, architecture, art and style ideas. The boards are geared toward anyone interested in building, remodeling or designing a modern home. Pinterest Board Name Ideas... Your Turn! It’s time to improve your results through strategic Pinterest board names -- whether you’re just getting started on Pinterest or looking to clean house. Need some inspiration? No problem! Below are 37 Pinterest board name ideas that you can mix and match! You’ll notice that each one contains a keyword, but also puts a little personality into the title -- a win-win combination! 4. Small Business Tips That WORK! 14. Instagram – Endless FUN! 24. Going Crazy for Social Media, Wanna Go? In the end, no matter what kinds of Pinterest board name ideas you come up with, just make sure you’ve done your homework. Know your niche, target market and the terms they’re looking for on Pinterest. Once you’ve done that, GO FOR IT! 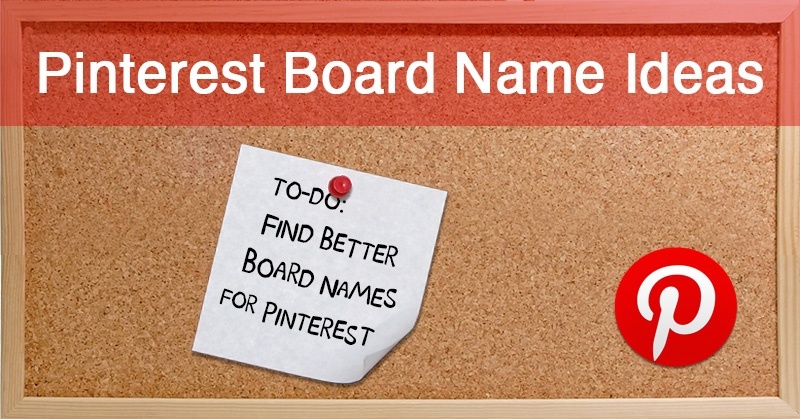 Create your first boards with optimized board names and start pinning. 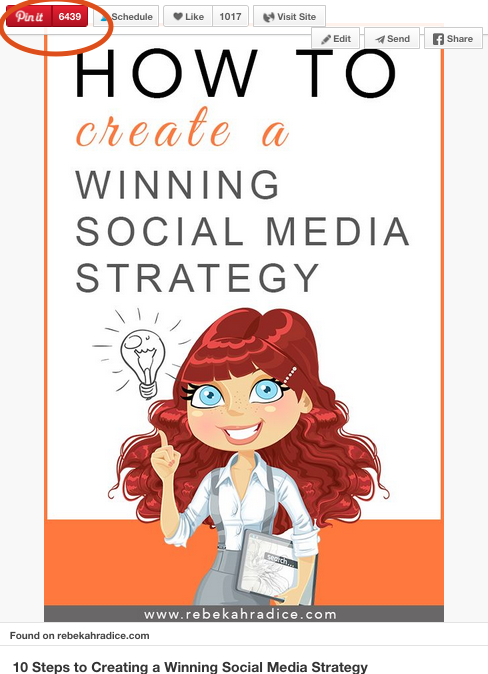 Want to learn another strategy I use to get more clicks, pins and followers? 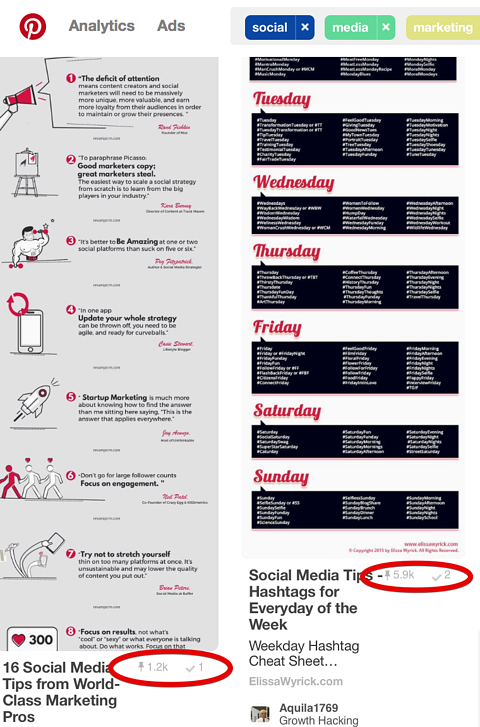 I pin proven content that I find inside Post Planner. So what do you think? Like what you see? Awesome!... Now it's time to dive deeper. Grab your spot in one of our free trainings and learn how to find, plan, and pin engaging content.